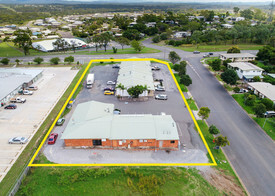 This property offers a diverse investment opportunity. Situated in Southport, only 300 metres from the CBD and within immediate proximity to the new Light Rail System. The property comprises a retail shop with high traffic exposure, currently occupied by a cafe on a 3 year lease. To the rear, the property has 6 commercial offices which are fully occupied. The completion of the Light Rail System will ensure high occupancy and growth in the rents. Please contact our office for more information on the property.